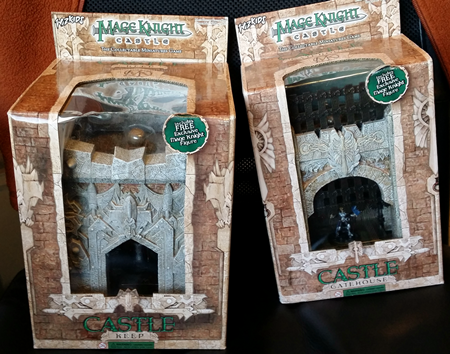 While on the prowl for prepainted terrain for Frostgrave, I came across two easy decisions: the Mage Knight Castle Keep and Mage Knight Castle Gatehouse. I remember these being on super-clearance a few years ago, so maybe the Castle line didn’t do so well? Whatever the case, they’re still quite cheap — around $20 each on Amazon, including shipping (with Prime). For large, light, and durable prepainted terrain, $20 is a steal. I snapped up one of each, and I liked them so much that I went back and ordered a second keep. 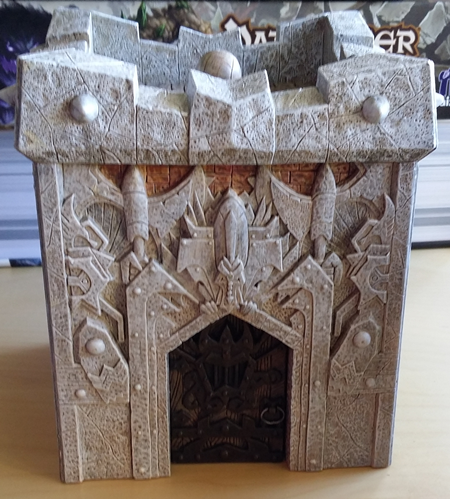 Frostgrave wants a lot of terrain, so I’ll take any chance I can get to acquire larger pieces on the cheap. Remember, the ruins of Frostgrave are crowded and maze-like, so there should be lots of terrain on the table, and there should be few areas where line of sight extends more than a foot or two, if that. So how do they look out of the package? 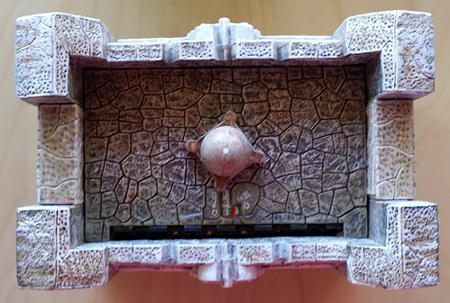 You can see the slot in the middle, which is for plugging into the walls (none of which come with the keep). 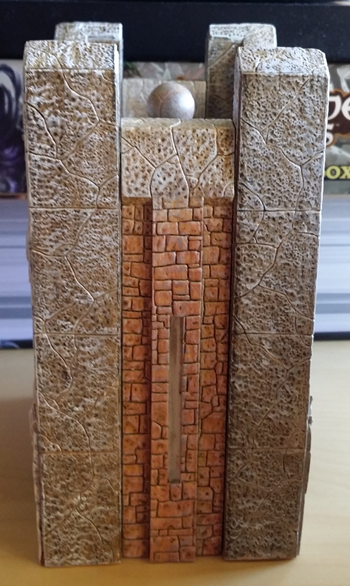 I don’t have any matching walls, so I’ll be using it as a standalone tower — or maybe adding some short ruined walls to either side. I like that the slot is fairly unobtrusive. 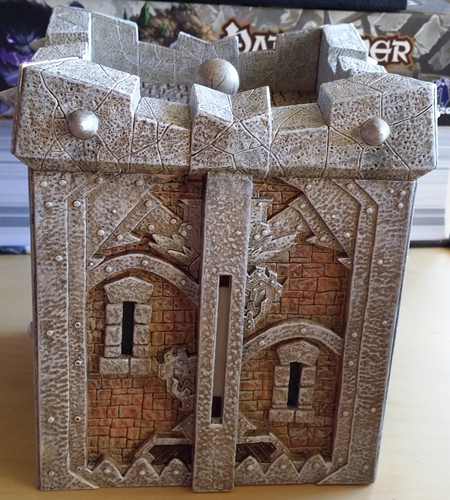 The weird knob on top is the Clix dial, for using the keep as a unit in Mage Knight. 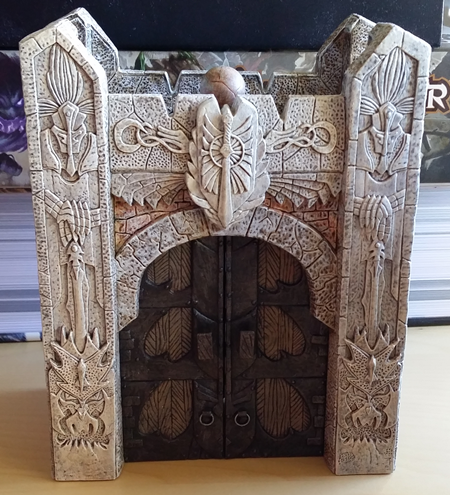 It actually comes with a little bar to put across the door, which is a neat touch. I almost broke the doors trying to get it on, though, so off it will stay. 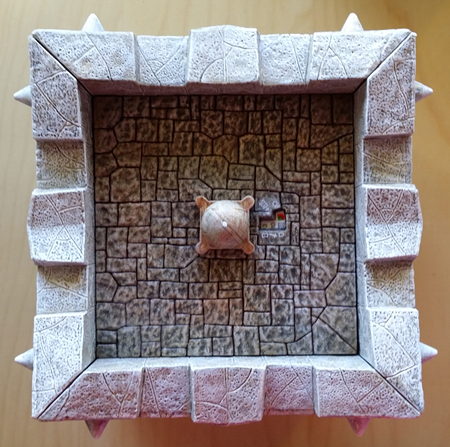 There are also walls to connect the Castle elements, as well as a nifty-looking tower, but they both command high price — when you can find them at all. I’ll keep an eye out, but I’m not optimistic. 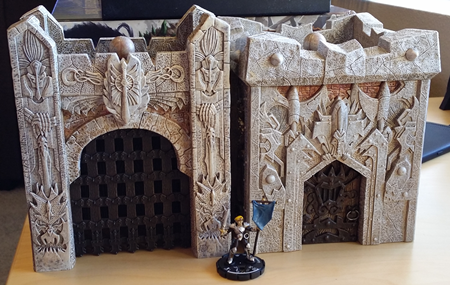 For my money, the Mage Knight Keep and Gatehouse are both great deals for prepainted terrain. I like the paint job on both, they’ll stand out on the map, they offer elevation (with plenty of room for minis at the top — and remember that by default all Frostgrave buildings can be scaled! ), and they fit right into how I picture “my” Frostgrave. If I was picking one, I’d pick the keep — no question. 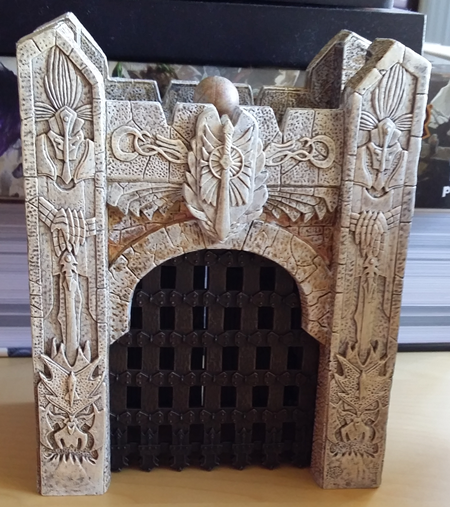 It takes up more space on the battlefield, and the added functionality of the portcullis on the gatehouse doesn’t seem like it’ll be too important in Frostgrave.